Meditation has become a daily practice for millions of people all over the world. Reason being that in a world full of stress and constant pressure, there is one way in order to achieve calmness and a mentally clear state and that’s through meditation. It relieves all tension and brings you fully towards the peace you seek and lets you realize momentarily how beautiful the world is around you when you can find that balance. 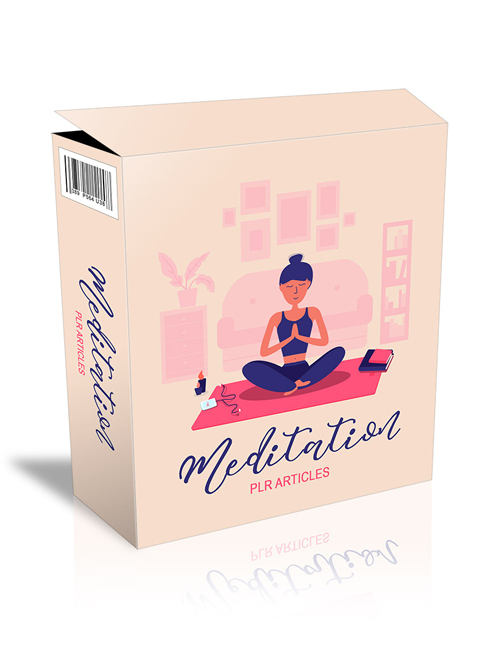 In this pack of plr articles, you’ll learn the many different methods of meditation along with how to completely relax yourself, the chakra system, how to heal yourself, choosing a pillow, controlling your breathing, using soothing music, various techniques and much more. There’s really nothing to it when it comes to achieving deep meditation. You can do it anywhere in a quiet place. If you’re in the meditation niche then this content will definitely be great material for you to use for your site.